You may consult any doctor however, you are encouraged to see the same doctor for a particular episode of illness where possible to ensure continuity of care. An appointment can be made by telephone, online or by calling at the surgery during normal working hours. If you prefer to see a male or female doctor, or a particular doctor or nurse, please make this clear when you contact the surgery to make your appointment. You may book an appointment up to 4 weeks in advance, with a doctor or nurse. Appointments are for 10 minutes. Please advise the receptionist if the appointment is for a first antenatal check or a postnatal check or if you think that your problem will require a longer consultation. If you feel that you require to be seen urgently, please make this clear to the receptionist who will book you into our Urgent Problem Clinic. If you are unable to keep your appointment please advise the surgery, giving as much notice as possible, so that the appointment may be offered to another patient. If you are more than 10 minutes late for your appointment, the doctor or nurse may not be able to see you and you may be asked to reschedule. Doctor’s appointments at the surgery can be made or cancelled online via the link at the top of this page 24 hours a day. To register for this service please ask a member of reception staff for details. After the morning surgery the doctors run a session which is for urgent problems only. If you have a problem which cannot wait for the next available appointment, you should phone before 10:00 and a receptionist will give you a time to attend. The Urgent Problem Clinic will only deal with the most pressing problem. This allows your problem, and those of other patients waiting, to be dealt with speedily so reducing waiting times and increasing efficiency. This extra session must not be used for obtaining routine sick lines, prescriptions or test results. Please note that as this clinic is very busy, space is limited. We request that adults attend alone whenever possible, and that children are brought by only one parent or guardian. Thank you for your co-operation. Adults should realise that many colds, coughs, sore throats and other minor infections will clear by themselves and do not require prescribed medications. Often advice from the pharmacist or symptomatic relief is all that is required. 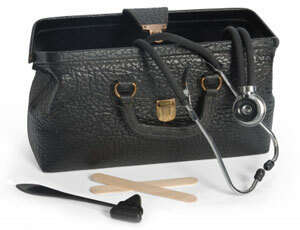 You do not require a doctor’s certificate (sick note) unless you have been off work for 7 or more days. Please read all the screens carefully once you have checked yourself in. The screen will advise you where to take a seat as the building has three levels and you may miss your appointment if you are not sitting in the correct waiting area. If you are waiting more than 20 minutes please approach reception. We also have telephone consultations, which can be booked in the same way as face-to face consultations with a doctor. You will be asked for your contact number home, mobile or work, and the doctor will phone you at a specified time about your problem. These are available as part of the doctor’s regular surgeries. Occasionally you might be phoned later if the doctor is not running to time. Practice nurses are available for telephone advice between 12:00 and 12:45 by telephoning the surgery number 0131 557 5545. Please give the receptionist as much information as possible about your problem so your call can be prioritised appropriately. We are not able to return calls to a withheld number. There is an interpreting service available, which is provided by the City of Edinburgh Council Interpretation and Translation Services. Please inform reception if you require an interpreter for you appointment. Nursing students attend the Practice from time to time. We hope that you will co-operate with us and help the students learn about general practice. You will be informed of their presence in advance, and if you do not wish a student present at a consultation your wishes will be respected. This will not affect your treatment in any way. Brunton Place Surgery has a non attendance policy. Should patients fail to attend 3 appointments within any 6 month period we will ask NHS Lothian to remove them from our patient list. If you cannot attend your appointment, please contact us in good time to inform us. If you do this we can usually offer the appointment to another patient. These should only be requested for patients who are too ill or infirm to travel to the surgery. When making a request for a home visit please phone before 10:30 whenever possible. The receptionist will ask you for some details about the problem to help the doctor decide how urgent your request is. You should also give clear instructions, such as address, stair or flat number and telephone number. The duty doctor will review requests for home visits each day and may give advice or suggest surgery attendance if appropriate. There are very few illnesses that could be made worse by a short trip to the surgery. Given the large numbers of people coming to Edinburgh, it’s no surprise that some fall ill and we need to treat them. If you are one of these visitors or performers and you become unwell, it’s important for you to know who to turn to for medical advice or attention when you’re away from home. For those who become unwell and need medical help or advice, please follow the information below, which aims to guide you to the most appropriate healthcare service. Emergency care is always free at the point of use. For temporary residents from around the world, if you access any of our services we will treat you first and then sort things out later – you won’t be denied urgent care. If at any time you think you need an emergency ambulance for a life-threatening condition, call 999. Pharmacies will provide you with help and advice on common health problems, minor ailments and questions about medicines. If you are from the United Kingdom and run out of repeat medication, a pharmacy may be able to help you get a prescription from your own GP practice or an emergency supply. For minor injuries (minor cuts / burns, wound infections, sprains and small bone breaks (from shoulder to fingers and knees to toes), go to the Minor Injuries Clinic at the Western General Hospital, Crewe Road South, Edinburgh. If you want to check if your injury is suitable for treatment at the clinic, phone ahead on 0131 537 3481. The clinic is staffed by specialist nurse, paramedic and physiotherapy practitioners, who provide treatment for adults and children over one year. It is open every day from 8am - 9pm (last patient book-in: 8.30pm). No appointment necessary. The Chalmers Centre provides care and advice on sexual health issues, including emergency contraception. For appointments and advice, call 0131 536 1070 or visit www.lothiansexualhealth.scot.nhs.uk for more information. For walk-ins, you can attend the Centre between 8:30am and 10am. Alternatively, phone 0131 667 3925 where there are a number of additional appointments available between 9am and 5.30pm, Monday to Friday, from Wednesday 1 August to Monday 27 August. For healthcare advice between 6pm and 8am and at weekends, please call NHS 24 on 111. NHS 24 will provide appropriate assessment and treatment, if necessary. NHS Lothian has hospital Emergency Departments at the Royal Infirmary of Edinburgh, St John’s Hospital, Livingston and the Royal Hospital for Sick Children, Edinburgh. If at any time you think you need an emergency ambulance for a life-threatening condition, call 999. • Edinburgh Crisis Centre – 0808 801 0414. Car parking spaces are limited at our hospital sites. There are excellent public transport links to our hospitals, with Edinburgh and the rest of the Lothian region (Midlothian, West Lothian and East Lothian) well-served by a network of buses. There are also a number of dedicated cycle paths offering safer, traffic-free routes for cyclists. A big warm welcome to Lothian’s temporary residents – we hope you all enjoy the summer festivals!